Saint Honore, a renowned expert in the world of watchmaking, has unveiled new additions to its Accessories Collection, a resolutely chic collection which is a flattering complement to its watches. The new Haussman ball pen associates new materials with a groundbreaking, elegant design and offers a truly exceptional writing comfort. Colours and finishes are also unique. 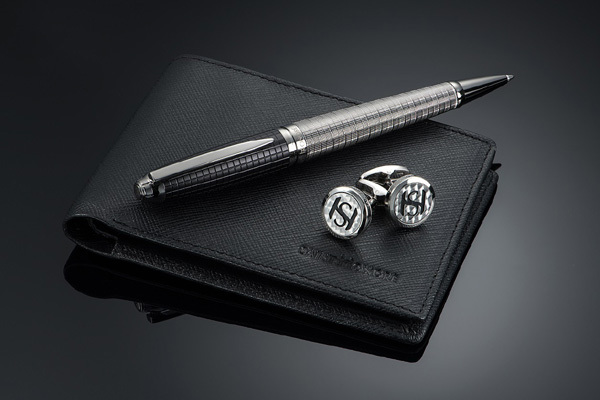 Offered in stainless steel, steel, "Prince de Galle" and "gaufrette" motifs matt black - with a steel, shock-resistant nib, the pen produces a particularly successful two-tone effect.